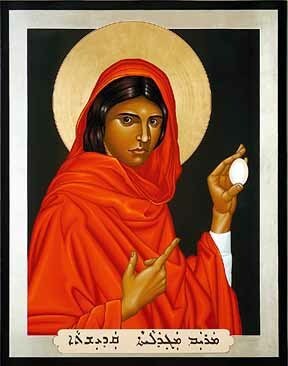 Welcome to an 22 day online journey of exploration of one of the most important, but misunderstood, figures of Christianity: Saint Mary Magdalene. The Biblical texts are very clear that Mary Magdalene was a faithful and devoted disciple of Jesus who stands at the heart of the story of Holy Week. She is named by all the Gospel writers as both a courageous witness to the crucifixion and the first witness to the resurrection, chosen by Christ to deliver his message of hope to his other disciples. 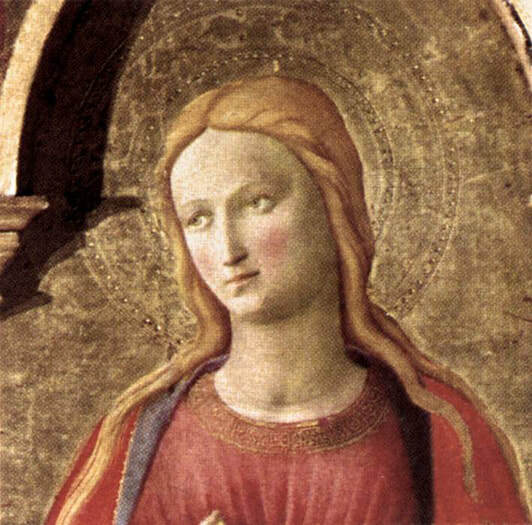 Yet over the centuries, the image of Mary Magdalene as the “Apostle to the Apostles” (her first title) was erased and replaced by other images that have no Biblical basis: penitent sinner, prostitute, adulteress. How and why did this happen? This series will explore Mary Magdalene as she appears in the Biblical stories and how she was confused with other historical figures like Mary of Egypt over time. We will examine Mary Magdalene’s role in other early Christian texts that were rediscovered in Egypt in the 20th century, including texts like The Gospel of Thomas and The Gospel of Philip that were found in Nag Hammadi. Also introduced will be two other Gospels written in her name: The Gospel of Mary and The Gospel of The Beloved Companion. You’ll learn about the extraordinary inspiration Mary Magdalene has offered across time for saints like St. Francis , Teresa of Avila and Catherine of Sienna . You'll discover how she was a muse for poets like Rainier Maria Rilke and artists like Caravaggio, Vermeer and Rodin. Included in the series will be astonishingly beautiful artworks across the centuries, and a discussion of how she has been reimagined in our own time by contemporary painters and authors like Dan Brown in The DaVinci Code and Kathleen McGowan in The Expected One. . We’ll also explore Mary Magdalene from a Jungian Depth Psychology perspective as an archetype of wholeness and integration, a disciple who represents the journey of becoming fully human and spiritually mature. At the end of the 22 day series, you will have a host of contemplative practices to explore, with a set of prayers, images and journaling questions to continue your own spiritual journey. ​ Please fill out the registration form with your name and the email address you would like this series sent to and complete your purchase by clicking the "Buy Now" button to purchase through Paypal. If you are in extreme economic distress, we do offer scholarships. Please describe your situation and how you will help to bring Mary Magdalene's story to the world. Register for the next series, beginning April 22, 2019.